The leading developer of video game software, SEGA of America has announced that Golden Axe classic action game is now available for iPhone and iPod touch through iTunes Apps Store. 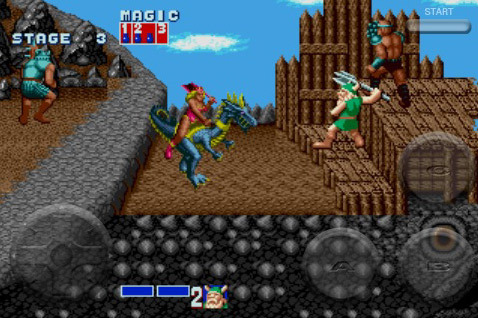 The Golden Axe features the original choice of 3 heroes (each with different strengths and magic powers), giving players a taste of the classic title thanks to the iPhone/iPod Touch technology. The Golden Axe for iPhone/iPod Touch that offers 2 additional levels of the game is available now for download on App Store for $4.99.